Started with the concept of camps,hotel,resort way back in 1997 in Kausani, the Blossom Hotel & Resort Kasauni has come a long way since its inception as a resort and hotel. Today, Blossom Hotel and Resort Kausani stands as a cluster of rooms, huts and cottages (Resort) providing panoramic beauty of the ice-peaks from this natural floral resort. 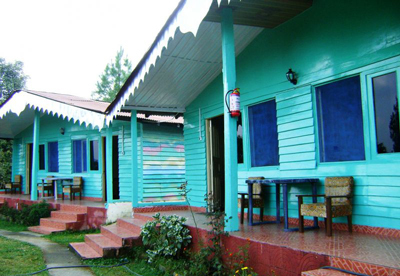 A beautiful Kausani Hotel and Resort “Blossom Resort”, laden with colourful flowers, shrubs and hill lemon, peach and plum trees is a heaven of delight in Kausani when it is blossoming time in the Resort and Hotel. Away from the crowds, don’t let anything get between you and nature at Blossom a Kausani Hotel.